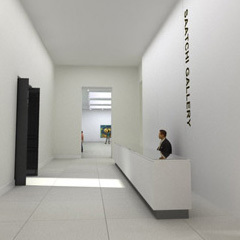 The Saatchi Gallery houses one of the most influential collections of contemporary art in London. An impressive and unique venue, the gallery displays works from an array of national and international sculptors, painters, photographers, and multimedia artists, many who have never before been seen in London. The Saatchi Gallery prides itself on supporting new and previously unexhibited artists and in this way acts as a springboard for their careers. Admissions: Thanks to a partnership with Philips De Pury entry to the gallery will be free of charge.